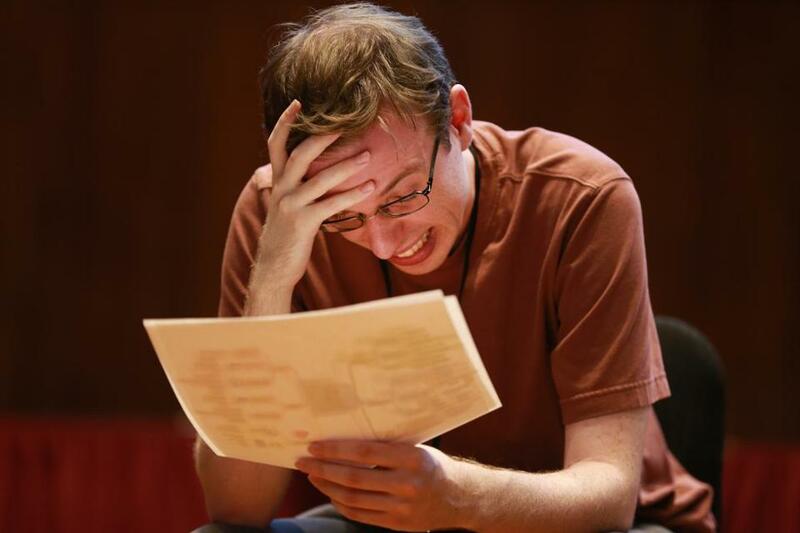 Matthew Wilson studied an sheet of information during the USA Memory Championship. CAMBRIDGE — Memorize this: the periodic table, who’s in the Rock and Roll Hall of Fame, and the life stories of four people. These are just a few of the tests given to the 13 contestants from across the country in the 2018 USA Memory Championship hosted for the first time by the Massachusetts Institute of Technology. About 300 people filled Kresge Auditorium Saturday to watch the contestants compete in memory challenges. Robert Ajemian, a research scientist at MIT, invited Tony Dottino, who founded the competition in 1997, to bring this year’s challenge to Cambridge. Contestants of all ages, including one as young as 13, competed in four events. From memory, they recited 300 randomly selected words and facts from four people’s lives, such as their zip code and favorite movie. A long-term memory game tested their rapid-fire recollection of questions such as “What movie won best picture” in a certain year. The fourth event required them to memorize and recite the number and suit of 104 playing cards. In between events, Ajemian and others gave presentations on memorization strategies. “Mind mapping,” for example, involves “anchoring” the memorized word to an object in an imaginary room. After nearly five hours of agonizing competition, John Graham, 31, of Salt Lake City, emerged as the winner. This was his second time competing in the championship, and he has no plans of slowing down. His day job is substitute teaching, and he’s recently started an online business offering memory courses. He plans to keep competing for the foreseeable future. The youngest participant was Claire Wang, a precocious 13-year-old from Los Angeles, who competed against people more than twice her age. She trained for just seven months, and placed third. She uses a form of mnemonic device to tell a story, using the word she’s trying to remember. Margeaux Sippell can be reached at margeaux.sippell@globe.com. Follow her on Twitter @MargeauxSippell.